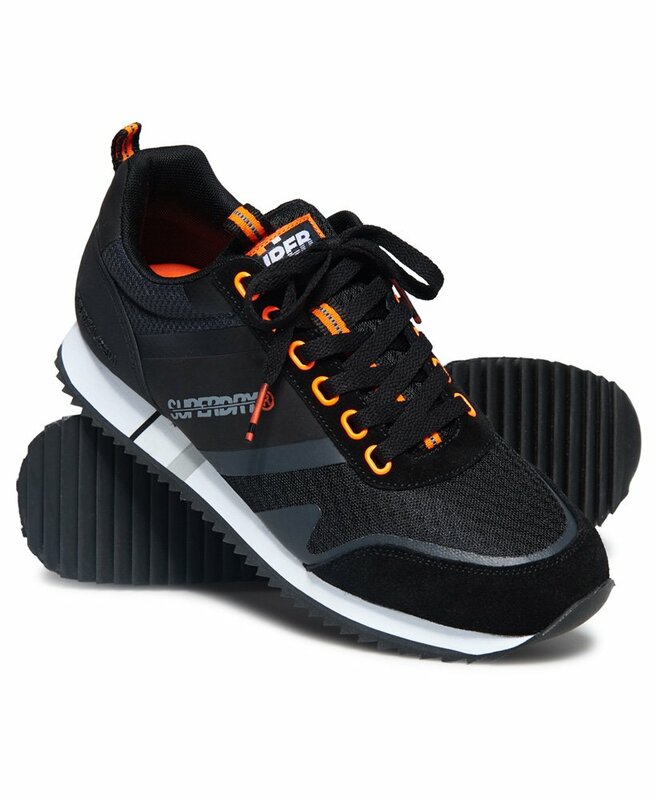 Superdry men's Fero runner trainers. Update your trainer collection with the Fero runner trainers. These classically styled trainers feature mesh panelling, contrast stripe detailing and Superdry logo branding on the side and heel. These trainers are completed with a Superdry logo tab on the tongue.